After American Frank Shorter won the men's marathon in the 1972 Summer Olympics in Munich, jogging became suddenly popular in America. Cartoonist Charles Addams naturally had his own take on this running boom. 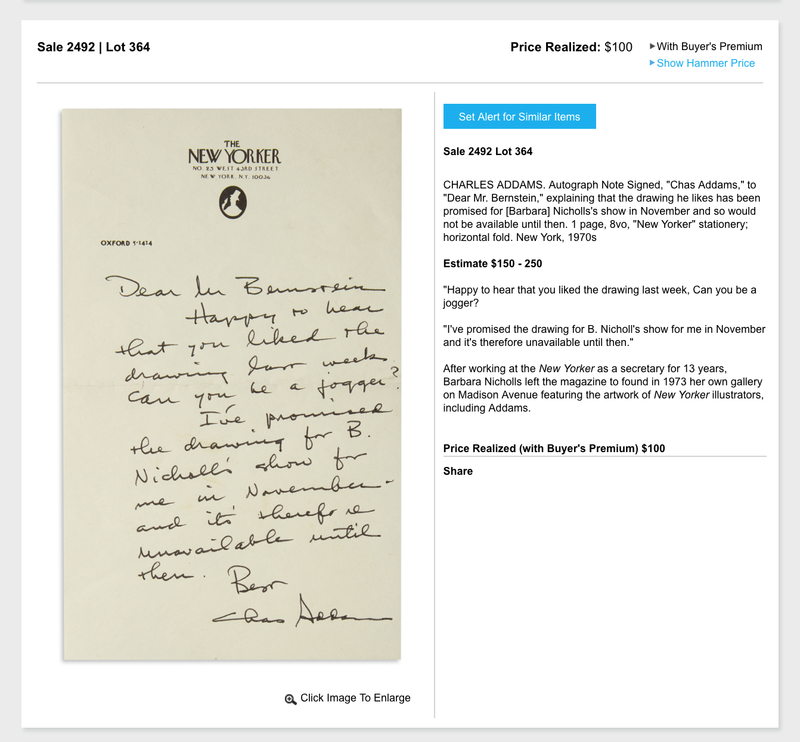 An autograph letter by Addams is coming up for sale next week in the Swann Galleries Autographs sale. 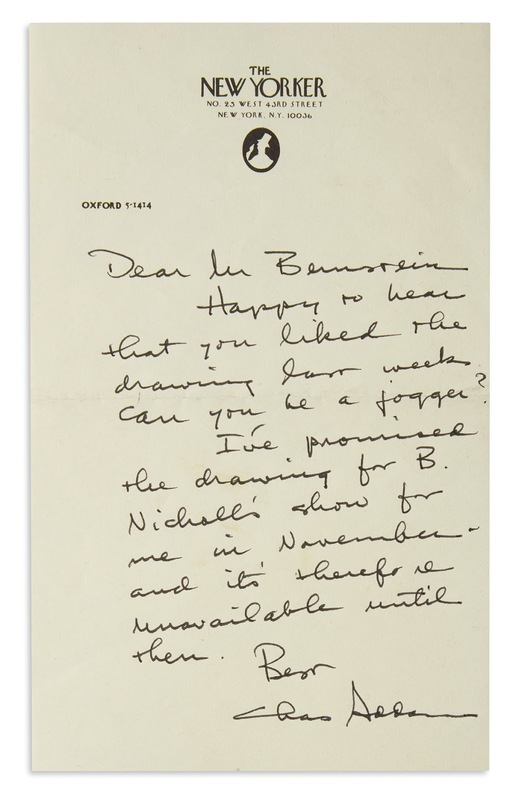 He's personally responding to a query from one Mr. Bernstein who is looking to acquire a running-themed drawing from the previous issue of the New Yorker. "Can you be a jogger?" is a pretty specific clue here that Mr. Bernstein must be looking for the Addams cartoon published in the March 22, 1976 issue. 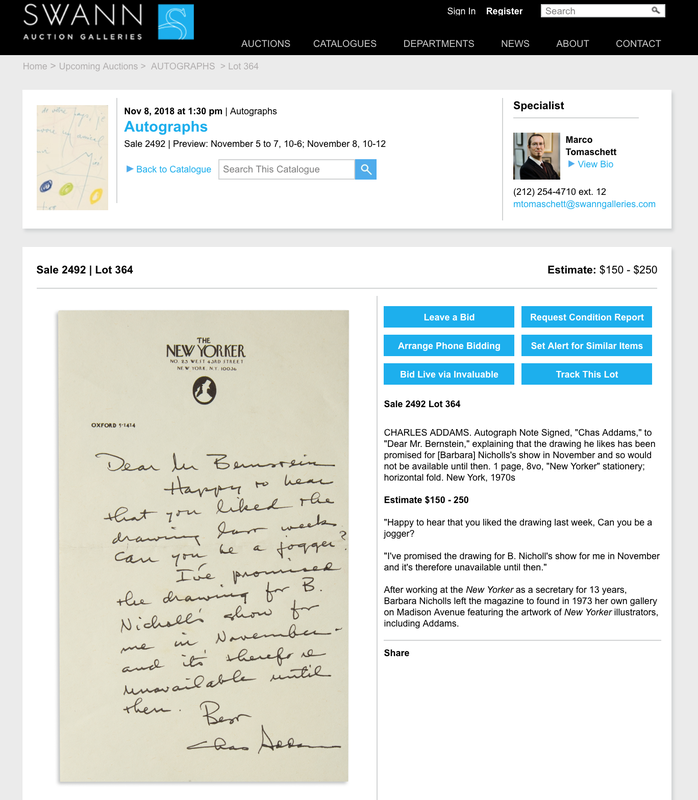 This would date the Addams letter to the last week of March 1976. 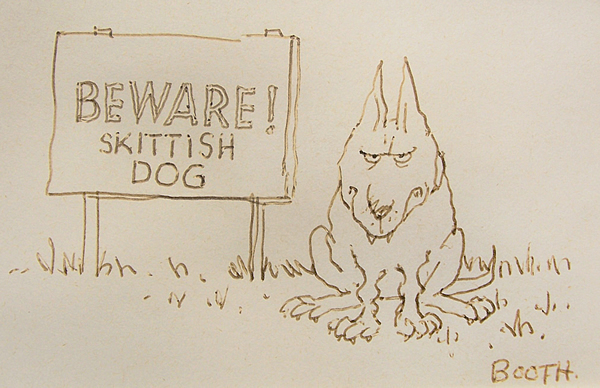 The original cartoon art was not available as it was being held for an exhibition at the Nicholls Gallery in November. 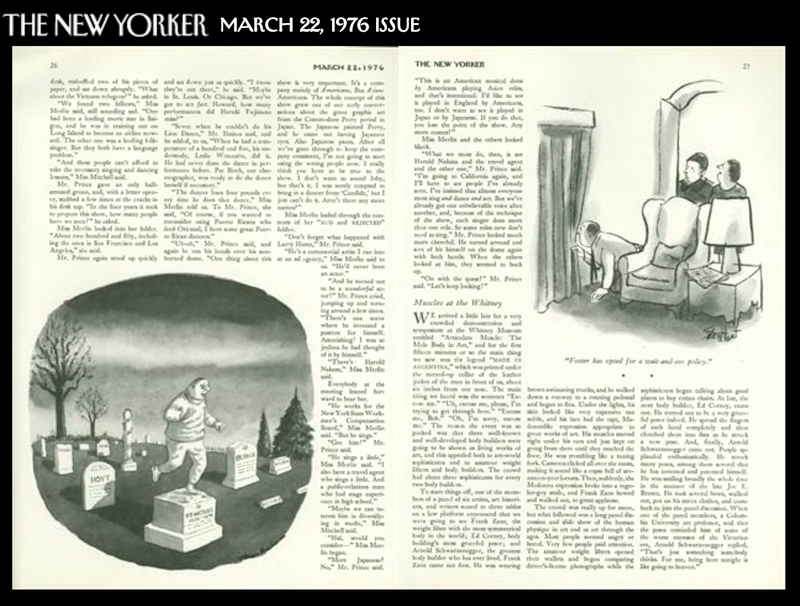 Was Mr. Bernstein ultimately successful in his pursuit of this Charles Addams original? November 8, 2018 Update: Sold! 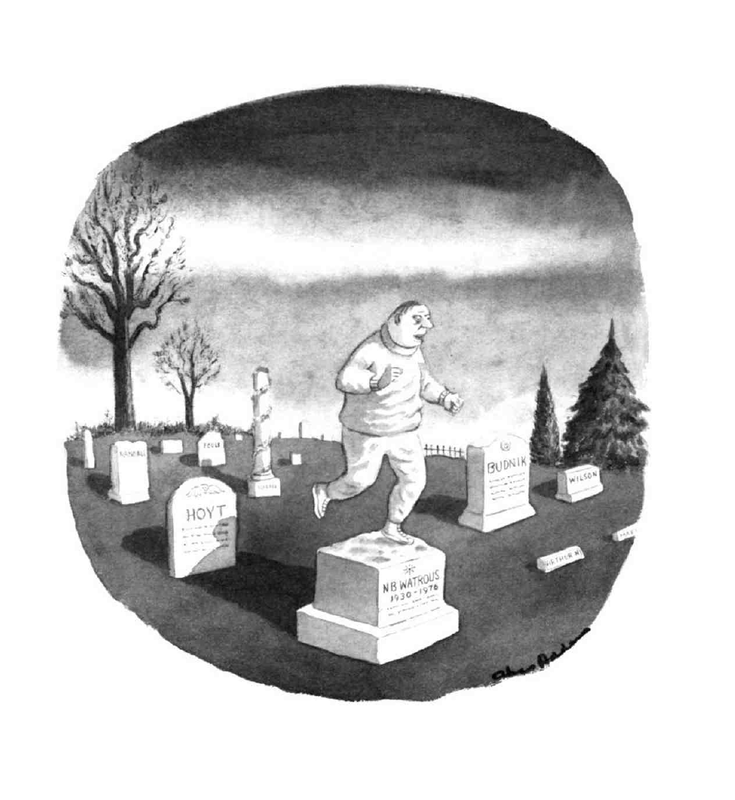 Note: I would like to hear from anyone who knows the whereabout of the original Charles Addams jogger cartoon.